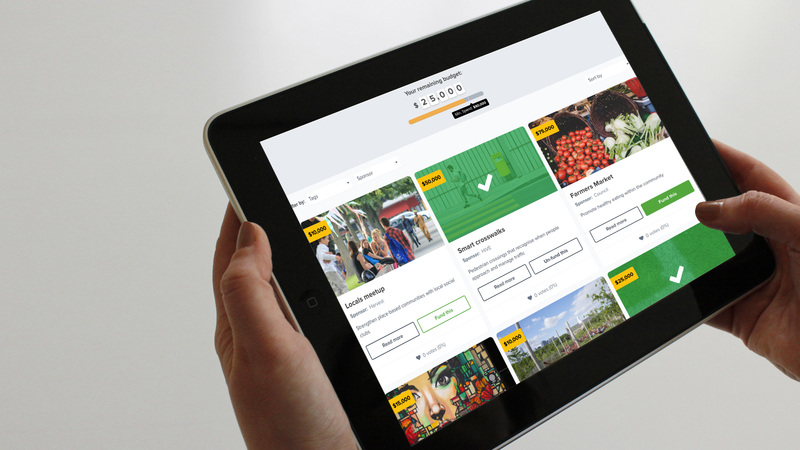 Get creative with participatory budgeting, funding, competitions and more. Give the community a voice in funding projects and services. Build consensus, educate them about the costs and compromises, and encourage them to prioritise the things most important to them. 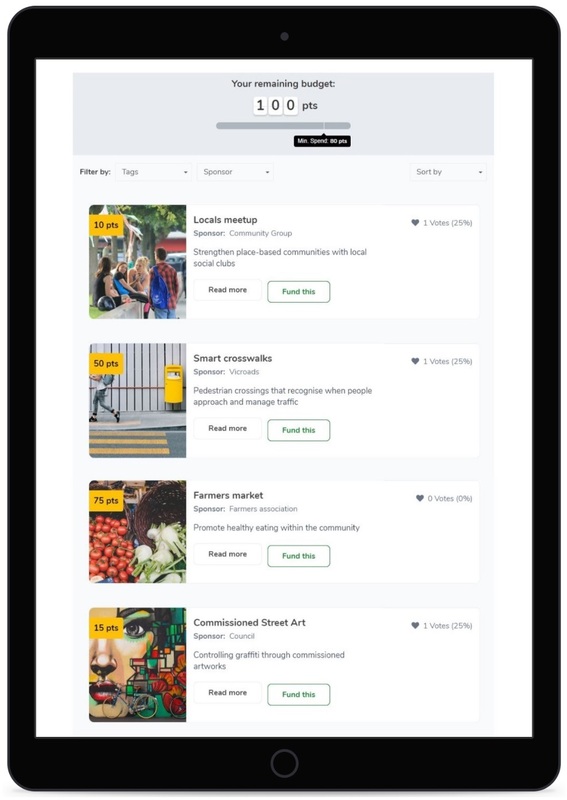 Accurately gauge community sentiment, and empower users to step into the shoes of decision makers by weighing projects against each other on cost, merit and necessity. Go beyond participatory budgeting and explore opportunities such as project funding and implementation or grant making. Switch from dollars to points and run competitions and live voting process.